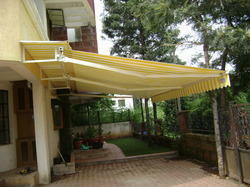 We are the leading manufacturers of Awning. It gives you a lifetime warranty. We also use standard imported Ferrari fabric. Our material is the best quality in all aspects. 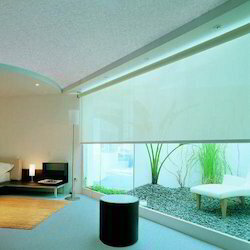 We are the prominent supplier of Black Out Vertical Blinds which have great quality and outstanding design. 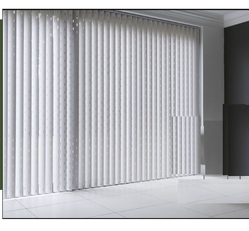 These vertical blinds slide from side to side which makes this ideal for the wider windows. Manufactured using quality vinyl and fabric, our quality Vertical Blinds enhanced the decor of the rooms and increases home energy efficiency flame retardant designer vinyl blinds. Our blinds provide privacy and security along with a subtle and diffused light. We supply a wide range of Car Parking Shed which is widely appreciated by our clients for easy installation and negligible maintenance. In order to ensure the quality of these shades, our skilled designers test it on various parameters. These are available in the various customised sizes dimensions and can be easily installed by the end user. 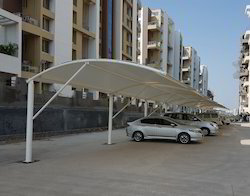 We offer reliable parking shades to our valuable customers.Double Conic Tensile Structures are offered in customer specified dimensions. In the construction, we use superior quality accessories sourced from trusted manufacturers. 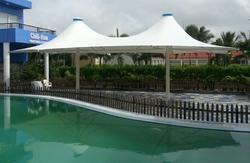 Our structures are widely appreciated for their rigid construction, durability and attractive designs. These structures find their application in shopping malls, resorts, hotels, airports and other public gatherings. 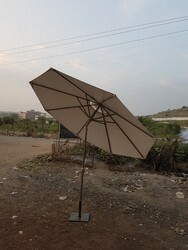 Our organisation has profitably expanded its commerce in the market owing to the offered high quality of Garden Umbrellas. 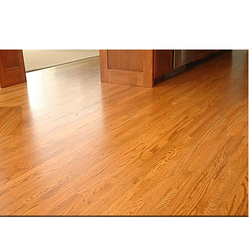 We provide the Services of Wooden Laminate Flooring. We "Shree Services" established in the year 1998 specialized in supplying and providing services of Blinds, Canopy and Awnings. 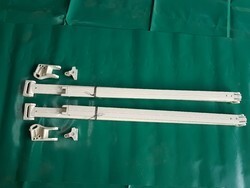 We are also in manufacturing of Awning Spare Parts To ensure quality to the customer, we source our blinds, canopy and awnings only from legal and establish vendors. Leveraging on our spacious warehouse and experienced procuring agents, we ensure successful processing of bulk orders within the stipulated time frame. Available in a wide range of sizes, shapes, hues and finishes, our blinds, canopy and awnings are successfully catering to the demands of various Architects & Interior Designers. Our effective marketing strategy helps us to cater the needs of our clients that include D.Y. Patil College, Wipro, Pricol India Ltd., P.D.C.C bank, IMC India Pvt. Ltd. Infosys technologies ltd., Nailsoft India Pvt. Ltd., Vasslah-Schwabe India Pvt. Ltd., TATA AIG, TATA Autoplastic, Bharat Electronics and Mahindra British Telecomm.